In Google Drive, it’s pretty easy to upload a new version of a regular file, such as a Microsoft Word doc or an Excel spreadsheet. 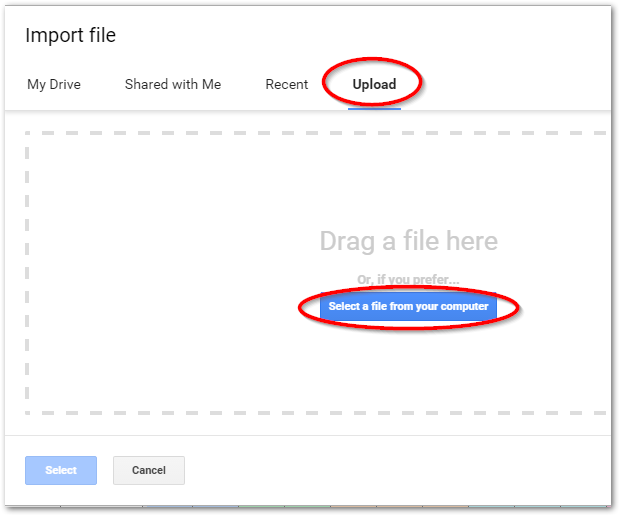 It’s not so easy to find how to upload a new version of a Google Doc, Google Sheet, or other native Google-type file. 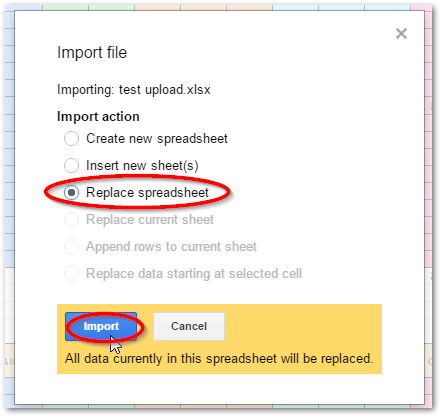 This post explains how to upload a spreadsheet as a new version of an existing Google Sheet. Keeps the revision history intact. So in general, you will only need this method if you are sharing the file with a lot of people and want to keep everyone, literally, on the same page. However, it is best practice to just always do it this way. Here we go. 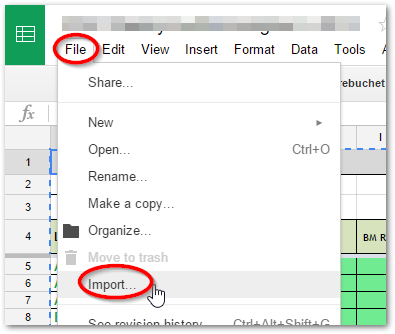 If you have downloaded a Google Sheet as an .xlsx to edit in Excel and want to upload the new version to the same Google Sheet: You won’t find “Manage Versions” and “Upload New Version” on a Google Sheet. Instead, you need to use Import. Open the file you want to replace. Go to the “Upload” tab and select the file you want to upload. If the spreadsheet you are uploading contains only new sheets (tabs) that don’t exist in the existing spreadsheet, choose “Insert new sheet”. If it contains new sheets and all of the old sheets (tabs) as well, then choose “Replace spreadsheet” so you don’t get duplicate tabs.